﻿ HuntingNut » Forums » Firearms, Shooting & Reloading » Gun & Firearm Discussions » The official never ending 'what's my next new gun' thread. The official never ending 'what's my next new gun' thread. Posted: Tue Jan 26, 2010 7:27 pm Post subject: Re: The official never ending 'what's my next new gun' thread. The BFR is a little on the spendy side but it is an investment that ya can play with. My BFR is actually surprisingly mild on the recoil, I have shot 44's that were way worse. But my sons .450 Marlin is another story, still fun but it does involve some pain in the hands. The down side is that they are heavy, or is that the up side? But damn are they fun!!!! Vince you and I both know that Biggest Finest Revolver is not what they were thinking when they named the beast. They just had to find different words for the initials. Posted: Tue Jan 26, 2010 9:56 pm Post subject: Re: The official never ending 'what's my next new gun' thread. 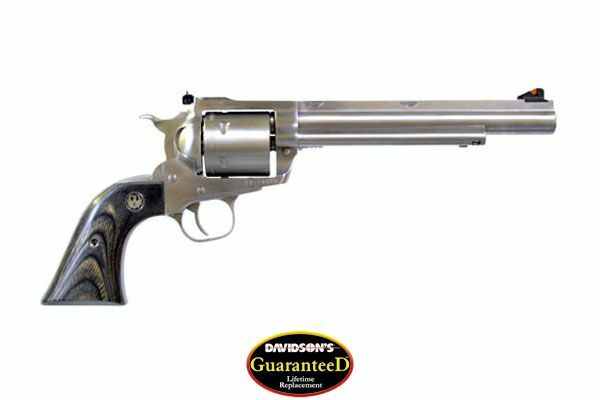 Ya....looks like the Ruger Blackhawk and Redhawk are 52-58 ounces, which is around 3 1/2 lbs compared to around 4.8lbs for the BFRs. The weight would help for felt recoil but....do any of you guys put scopes on? I don't think it would be such a great idea, but I was thinking of the weight. I can smell some testosterone emanating from this thread, gimme a fan quick!!! Whew!! Man! don't know what came over me....uh, anyways so now with the Blackhawk and Redhawk, we can go to 44mag., which is what King of the Roos, Vince came up with originally. So uh..sorry bout this but it's gettin kinda .....well let me ask you this...should a person go for as long a barrel as possible or can a person settle for a 7 1/2inch barrel? You know, for deer hunting. Thinkin about weight and bein able to heft the thing but also it must be shooting fairly accurately and manageable. I really wouldn't expect to be shooting very far. Sorry but I'm getting visions of nastyness strapin that thing on my leg. How do you guys put up with it anyway? A smaller ole cowboy single six is one thing, but that long ole 9 incher is going to be against your leg, that just aint lady like. Sounds like the gun for me, I don't care if I can't handle it. Ok I'll stop. My BFR has the 10 inch barrel, and hell yes I use a scope. My eyes are getting old. As for strapping it to my leg.... not a chance I wouldn't be able to keep my britches up. I use a bandoleer holster. Posted: Tue Jan 26, 2010 10:28 pm Post subject: Re: The official never ending 'what's my next new gun' thread. Hi Suz....all innuendos aside...I would probably stick with a 6" barrel. I don't think the extra 1.5" would make that much if any difference in accuracy at the ranges you are talking about. The main reason I suggested a 44 Magnum is the terminality (is that a word?) of the bullet on nasty game that just might be interested in chewin' on ya bod when ya least expect it. 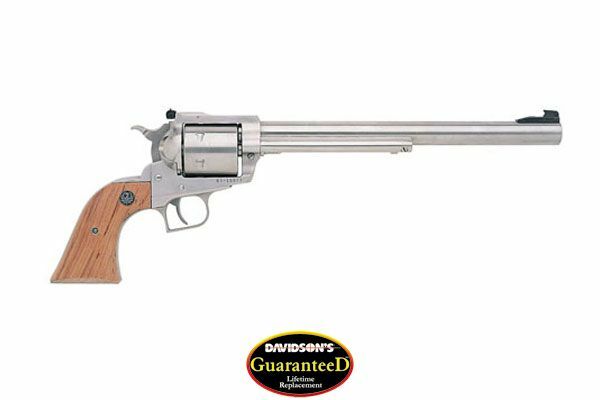 I think Marlin make a nice lever gun in 44 Magnum too...so there's a calibre match for you. I concur fully with the guys on the Ruger revolvers...known as one of the best around. Which ever way you go mate....remember, the gun has to meet your needs. Big is good, but it's not the "dog in the fight", but the "fight in the dog"...and its not what ya got, but how ya use it. Additionally, you have to carry it. Shoulder holster, cross the chest rig, waist holster...they all have their pros and cons, but at the end of the day, 1 pound will still feel like a ton, so the less pounds you have at the start of the day...within reason...the lighter and the easier it will feel at the end of the day. Posted: Wed Jan 27, 2010 2:09 am Post subject: Re: The official never ending 'what's my next new gun' thread. Just be carefull when you want to use the same amno in a lever action as in a revolver. 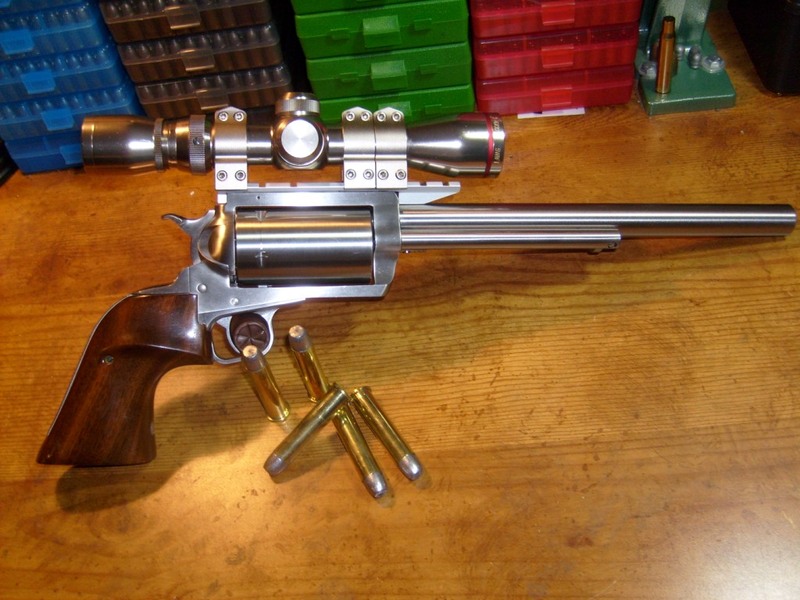 A hot load in a revolver might be an overload in the lever action because it has no gap between cylinder and barrel. I (still) don't have a lever action in .44 RM, but for the .357 RM Marlin I'm using a much softer load than for the 4" S&W 586. Posted: Wed Jan 27, 2010 4:01 am Post subject: Re: The official never ending 'what's my next new gun' thread. Good call Aloysius. I only ever had a TC Contender in 30.30, and my Mod 94 Winchester, also in 30.30...and I never had a problem, so I can't really speak with authority on the pistol calibres. The point I was actually making is, it can make life easier if your rifle and pistol are the same calibre...not necessary, but a little easier. Of course you must load to suit the lesser of the two firearms. Posted: Wed Jan 27, 2010 2:35 pm Post subject: Re: The official never ending 'what's my next new gun' thread. Ok well how about the rifle load in a pistol, being a shorter barrel the powder charge isn't going to all burn in the barrel, you're going to have a mussel flash like crazy, right? Should you only hand-load for the pistol (no off-the-shelf rounds)? On top of that the velocity and overall performance is going to be less than a rifle barrel would give you. So is there a way to figure what (rifle) caliber will give the best performance in a pistol, or (and I don't want a diplomatic answer like) is it depending on just what you want to do with the round. I bet there is a caliber that works almost equally well, but what is it? Posted: Wed Jan 27, 2010 3:25 pm Post subject: Re: The official never ending 'what's my next new gun' thread. Huntin' wif HG's? Fer my money? Can't beat a Ruger 44m. The lil one? Accruate as one can hold. Comes with rings too for optics. The long one I've used w/ stock sights and clanged gongs @ 200y before my eyes took a dump. Either with a Houge mono-grip shoots full house loads like a pussycat, esp the long one. Suz..... The longer barrels are best if your going to use the sights on the gun. If your going to scope it I suggest keeping it on the shorter side for a better balance. So in other words, it's not about how long it should be....it's how you'll use it !!! You may find your wrist unable to consistently balance the longer barrels while holding the gun waiting for the right moment to release the shot to it's intended target......whatever that might be !!! Posted: Wed Jan 27, 2010 10:36 pm Post subject: Re: The official never ending 'what's my next new gun' thread. Suz....when I had my 30.30 Contender and the Mod 94 at the same time....I was happy to load rounds appropriate to the particular firearm...the savings came when purchasing reloading components. In a pinch, you would have no problems with the rifle rounds in the pistol...although Aloysius has me thinking about pistol rounds in the rifle. Posted: Thu Jan 28, 2010 12:13 am Post subject: Re: The official never ending 'what's my next new gun' thread. When I got a handgun specifically for hunting (deer, hogs,etc.) I went with a .44 Mag. Ruger Super Redhawk w/ 7.5" barrel, Millet red dot sight, Hogue grips. The Blackhawk, particularly the Bisley style, is more comfortable under recoil IMO but I like the DA feature. I've shot my revolver loads in my Win 94 Wrangler with no sign of problems. Posted: Thu Jan 28, 2010 12:38 am Post subject: Re: The official never ending 'what's my next new gun' thread. I am partial to Rugers Stovepipe why don't you send me one of those. Your choice. Chambered I never read any of your posts, but thank you for your generous contribution anyway. Actually I've been waiting to see if you'd respond to any of my posts. Wanting to see if you'd be nice or inflammatory. You made this one pretty much civil!!! Good for you! I appreciate all of your contributions, and I know that your sense of humor is diverse and random like mine. I'll probably be strolling down the Champs-Élysées some day pointing out the fat butts and the skinny long faces, thinking of your silly faced icon. Yes I understand that a longer barrel is heavier and more accurate to sight down, and that a shorter barreled pistol is lighter. Us weak-armed folks need the weight to be more reasonable for sure. A five pound pistol isn't getting much lift for very long, from me anyway. Well said (I think I've heard that before in another context....) But the length is going to effect the velocity and overall performance. I was getting at the idea of what is ideal, and really it's a matter of what's available, and what are you capable of doing, with what's avail. Posted: Thu Jan 28, 2010 8:27 am Post subject: Re: The official never ending 'what's my next new gun' thread. 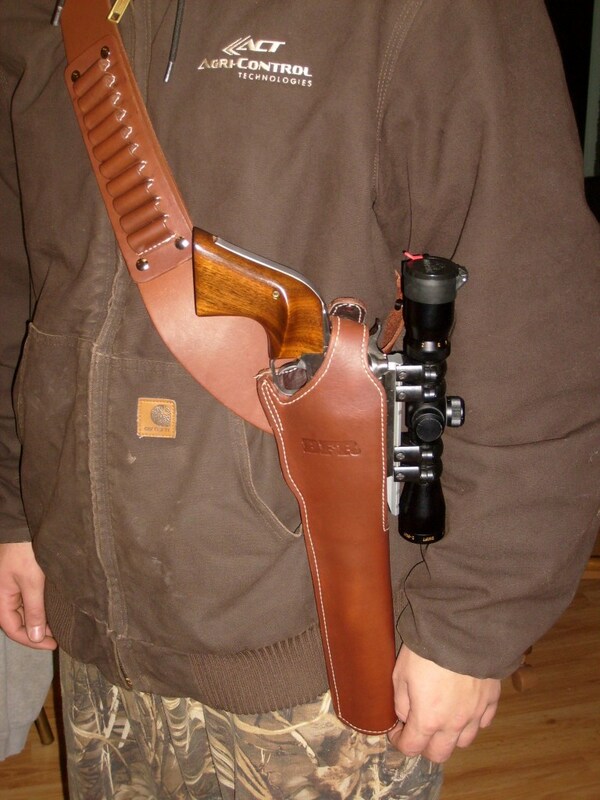 I'd Love to have the SBH Hunter with those lami plow grips and a red dot. Great handling, crisp trigger, perfect field pistol. Not much of a bisley fan, though. DA for hunting seems odd to me. I like a SA, most shoot DA in SA mode when hunting anyways so...I like the DA roller for side arm/back-up. Posted: Thu Jan 28, 2010 9:41 am Post subject: Re: The official never ending 'what's my next new gun' thread. Stovepipe, with hog hunting in mind I figure the DA would be a bit faster on close up follow up shots. But I'll admit to lusting after the Ruger Bisley Hunter! Posted: Thu Jan 28, 2010 9:55 am Post subject: Re: The official never ending 'what's my next new gun' thread. Oh for sure on the DA for hog. But that's why I have the Alaskan. The SBH reaches out and whack's 'em, then, if porky get's any stupid ideas I'd drop the SA SBH and yank out the Alaskan, with a fresh, full cylinder of heavy's and poke some .439 diam holes in him. Fer arnery, fast critters I always carry a back-up that handles better and sights faster than the hunter. I don't think I could follow up with a scoped pistol on a moving target. Next year I hoping to get a sit in up north with some management hunters. I'll be carrying both, for sure!